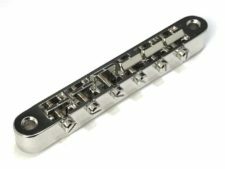 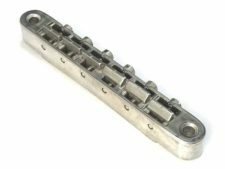 This option replaces the nickel plated brass or natural brass saddles (depending upon the standard saddles for the bridge you are ordering) for the wound E-A-D strings with TITANIUM saddles. 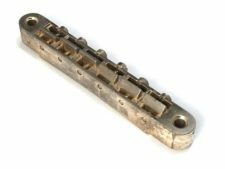 Using titanium gets rids of the muddiness that can sometimes occur on the lower strings. 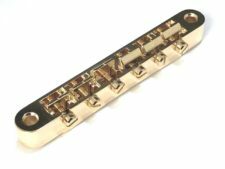 Combined with the warmth of traditional brass saddles for the plain strings, the HYBRIDge™ Option creates a more balanced, focused tone for your guitar! 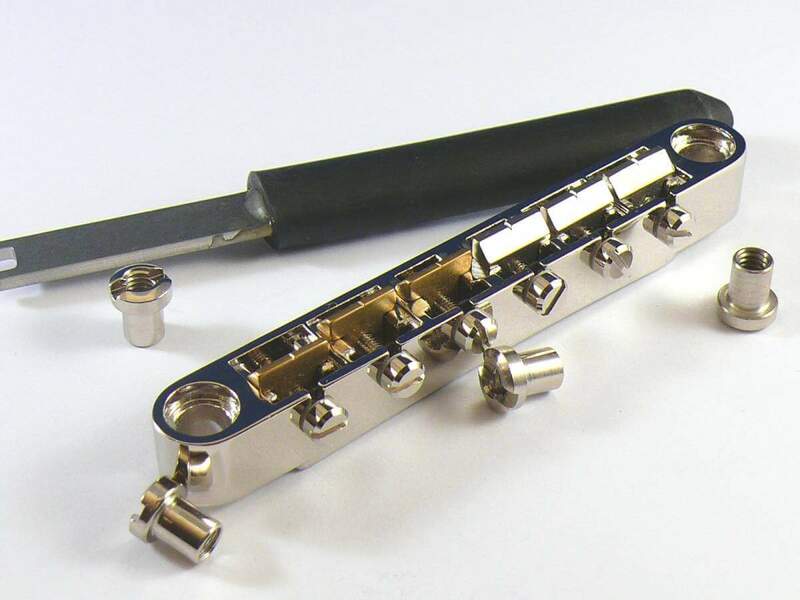 Photo shows HYBRIDge™ option on a #3033 Tone-Lock™ Bridge.